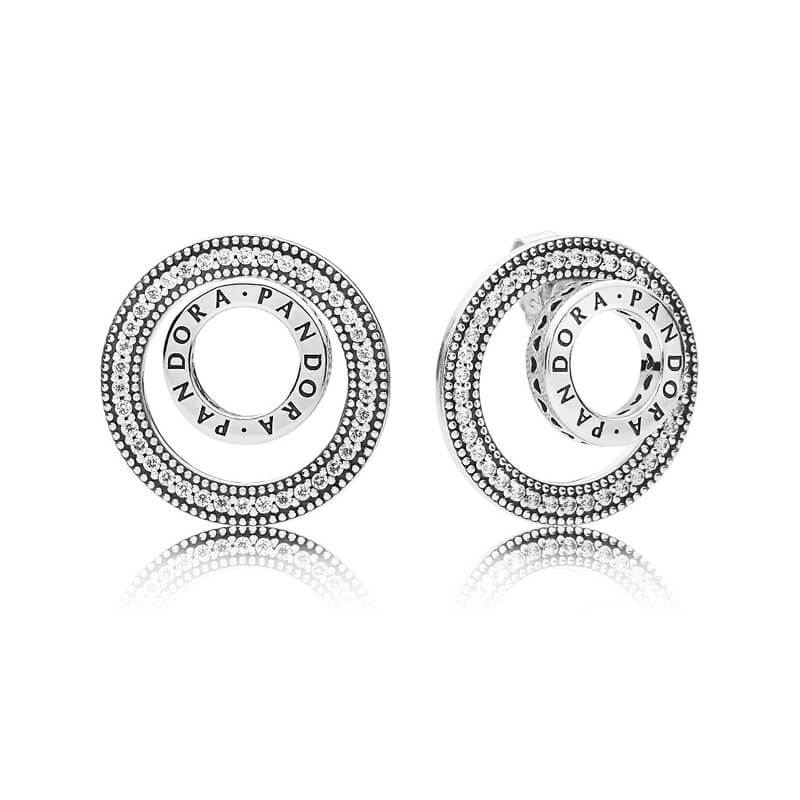 PANDORA Forever Signature Stud Earrings. Achieve multiple looks in one with these beautiful sterling silver studs. Effortlessly chic, they can be worn in five different ways - reposition, reverse or remove the sparking jackets to instantly take your look from day to night. Quick delivery and product in tact with gift bags and boxes. I'm sure my wife will be pleased with the Pandora ratings. Thank you for your feedback. We're delighted that you are happy with your order, we hope your wife loves her new PANDORA Forever Signature Stud Earrings.